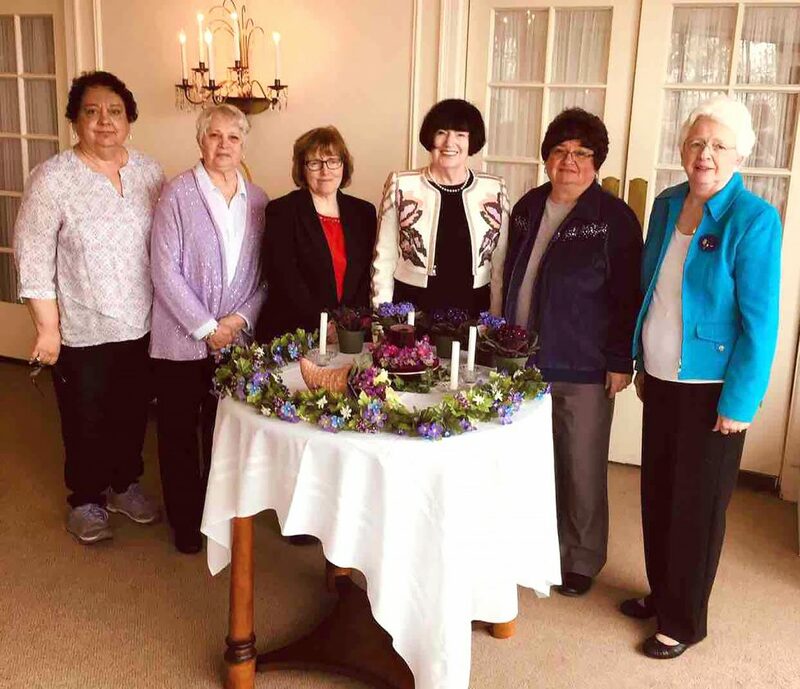 WEIRTON — The West Virginia Fidelis Gamma Chapter of Alpha Delta Kappa International Sorority for Women Educators met April 4 at Williams Country Club with President Jerry DeFilippo presiding and welcoming guests and members. Hostesses Lisa Subrick and Susan Cullinan decorated the tables in an Easter theme incorporating pink tulips, rabbits and candies. A special treat was a presentation by West Virginia past state President Crystal Baranowski, who dressed in costume from the 1700s. Baranowski presented the life of Lydia Boggs Shepherd Cruger, who was active in the early settlement of Wheeling and was instrumental in the choice of Wheeling as a destination on Route 40, the National Highway. Altruistic Committee Chairmen Nancy Conley and Sandi Anderson thanked members for their donations of magazines and other items. Scholarship Committee Chairman Liz Pugh presented information on the Betty Shaw Scholarship to be awarded this spring to an Oak Glen High School student. DeFilippo said the directory containing member information will be revised and updated to the yearbook, and it will be distributed to the group in May. New members will receive a copy at that time. Members were reminded that the Ohio Valley District meeting will be held May 4 in Parkersburg. The Alpha Delta Kappa International Convention will be held in Minneapolis in July. DeFilippo conducted the initiation ceremony for new members with assistance from Fuller, past president; Subrick; and President-Elect Janet Benzo. The new members are Eileen Snyder, Nancy Holdsworth, Shirley DeLuca and Donna Roman. DeFilippo also conducted a welcoming ceremony for Susan Cullinan, who transferred to Fidelis Gamma Chapter. Assisting with the welcoming ceremony were Fuller, membership chairman, and Subrick and Allison. The next meeting will be held May 2. Nancy Conley and Bonnie Queses will be hostesses.